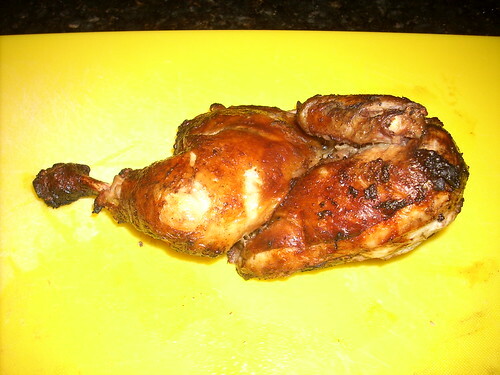 Well I decided to cook a chook this weekend. I actually prepared the marinade on Saturday and kept it in the fridge overnight. 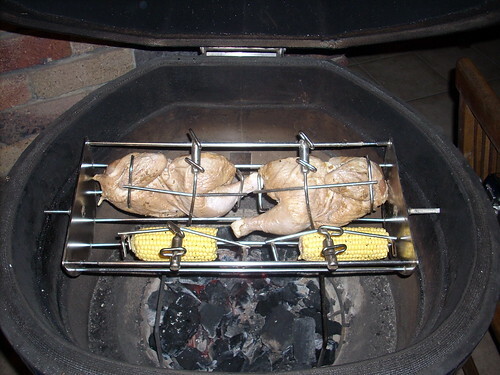 I also wanted to use the rotisserie to see if it made a difference. Anwyay results and recipe (easy) below. Prepare BBQ for a high temp cook I had the temp around the 450F mark throughout this cook. Anyway after the cook was finished I served up and the result was pretty good. All in all an easy cook with a good result. 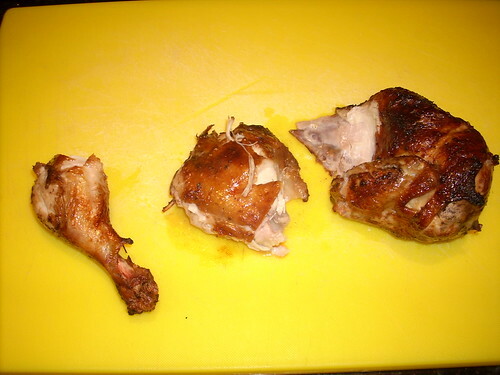 Lessons learned from this cook is not to rottiserie butterflied chicken unless 100% sure the temps are equal in the BBQ (must be have been too much charcoal on one side). Anyway the chicken was tender and the skin was good. This entry was posted in Recently Posted on April 26, 2009 by paulr. Looks delicious, and such a simple marinade. What kind of charcoal are you using in your ceramic cooker?